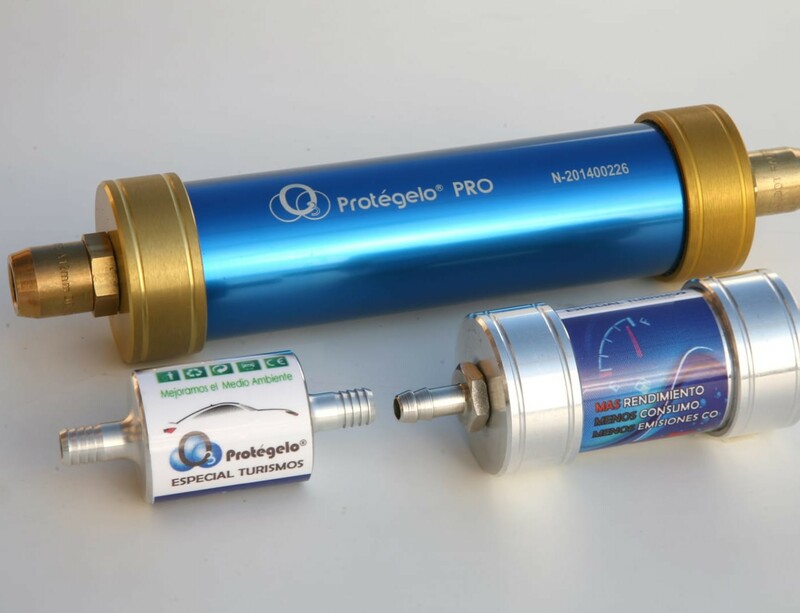 O3 Protégelo, a Spanish startup has created a device that improves vehicles fuel combustion, reducing nitrogen oxide, carbon monoxide, and carbon dioxide emissions. Read more on Cinco Dias (in Spanish). The automotive sector is undergoing a paradigm shift. The new mobility model is one of connected, autonomous, shared cars with low and zero emissions – and they are not far off. The European Commission has set a 30 percent CO2 reduction target by 2030. At the same time, the European Parliament (EP) will require a 40 percent cut in carbon dioxide emissions for new cars, a challenge that has already sparked debate. « The social repercussions of this transition will be more difficult if we set our goals too high…we must be ambitious but realistic, » said Erik Jonnaert, secretary general of the European Association of Automobile Manufacturers (ACEA), in an interview with the Spanish news agency EFE. The leader of the association, which represents the 15 leading vehicle manufacturers in Europe, believes the solution will include « new forms of alternative mobility, especially electric vehicles, » but will require a proper recharging infrastructure in the European Union, which remains insufficient for now. Today, there are barely 100,000 charging stations in the EU, while two million will be needed by 2025, according to ACEA. In addition, the EP has decided that 20 percent of all new cars in Europe must be “low-pollutant” (generate less than 50 grams of CO2 per kilometer) by 2025, a share that will reach 30 percent by 2030. New emissions tests, in line with the globally standardised light vehicles test procedure (WLTP), have also sounded alarms. Last summer, a report by the international consulting firm IHS Markit warned of the risk of sanctions as high as 14 billion euros (USD 15.8 billion) if the goal is not achieved. Aside from that, a new European regulation, mandatory from January 1, 2019, will also toughen the annual MOT tests for car safety inspections. According to the European Environment Agency, only Norway has already met its 2021 goals. Last year in Spain (eighth largest car manufacturer in the world and second in Europe), the average emissions of new cars equalled 114 grams of CO2 per km. Aiming to improve these figures, and given that the Spanish automobile fleet is one of the oldest in the EU, the Catalonia-based engineer Isidro Moreno launched a device in 2015, after years of research, that improves the combustion of hydrocarbons. Among the device’s features, the startup’s founders are particularly proud of its ability to reduce 50 to 80 percent of particulate matter (PM2.5) in diesel vehicles, which Núñez explained is « the true cause of pollution and a very serious health risk.” Moreover, he said, “We have managed to drop the HC [unburned hydrocarbons] of a brand new Harley Davidson motorcycle to zero. We intend to continue testing and improving” the device. The patented technology is not magnetic, but based on a reagent of half a dozen mineral powders the company imports from several countries. (The startup claims the environmental impact of extracting the minerals is largely compensated by its catalyst.) To create the substance, the powders are turned into crystalline blocks through a traditional sintering (heating and compressing) process, then broken down into hundreds of pieces by a water jet. « That is what we incorporate into our devices, » Nuñez said. The three models cost from 145 to 305 euros (USD 164 to 346), depending on the cubic capacity. From « the garage, » as they call their workshop, the startup’s founders admit that their journey has been difficult, especially in Europe, where Núñez said « the sector seems to be interested only in our formula and not in us. » However, the company went from a 5,000-euro turnover in 2015 to 42,500 euros in 2017 – a figure which they hope to increase in 2018. The scalability of the project has opened doors for them in markets such as Holland, and also in Africa and Latin America, where they claim to be in advanced talks with some governments to sell their product.